After their reemergence in the United States in 1973, Chinese carpets have become a major force in the one furnishings market due to their tremendous versatility in type, style, color, and executed with high quality control standards. Equally important has been the Chinese weavers’ expertise and willingness to adapt designs and colorations to American decorative needs. 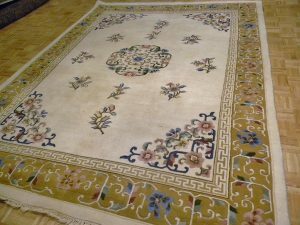 Most carpets still woven in the northeastern provinces of China with the balance originating from the western and southern regions. Weaving is performed in factories which contain anywhere from a few to several hundred looms, and the manufacturing process is closely supervised for quality control. While many looms are still out of wood, most new ones are built of steel. As they are so well built and stout, whether of wood or steel, crooked pieces are seldom produced. The carpets are woven of excellent quality indigenous wool featuring durable and resilient yarn or with a blend of native and imported wool. Today’s consumer has a wealth of patterns and colors to choose from both in pile and flat-woven rugs. 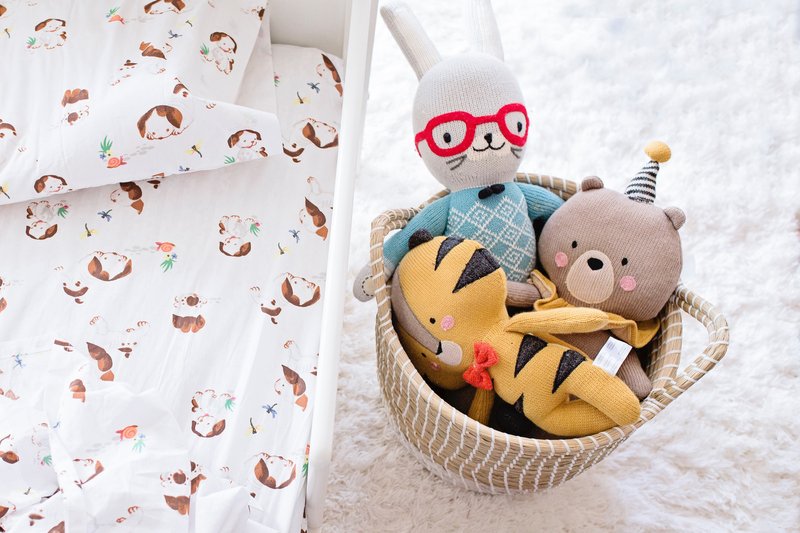 The most popular design categories for pile rugs are Peking, floral, esthetic, and Sino-Persian. Perking rugs generally feature a central medallion on an open or covered field of traditional and often stylized motifs and symbols, such as animals, flowers, clouds, and waves, framed by a simple, wide border. Equally in demand are floral rugs characterized by an all-over pattern or by asymmetrically placed floral sprays. 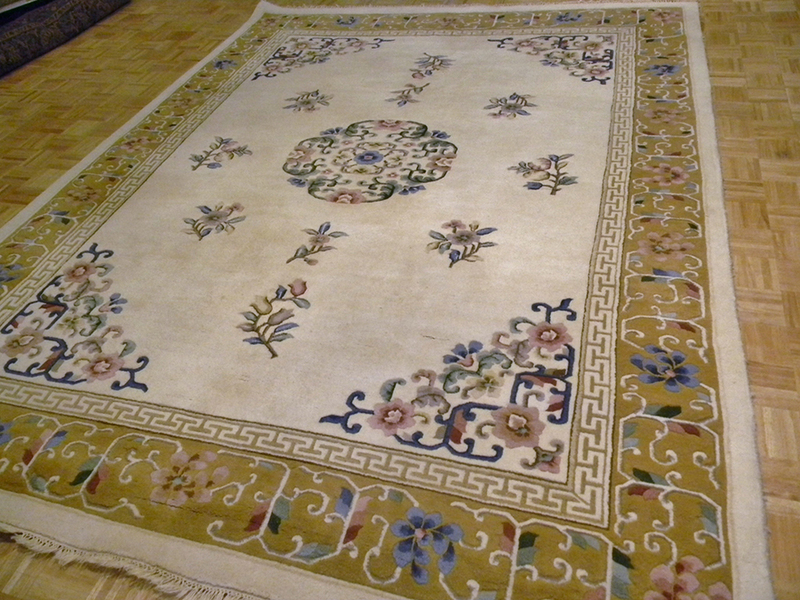 The popular Art Deco style floral carpets, based on the “Tientsin-style” rugs of the 1920s, generally feature an asymmetrical floral pattern sometimes with objects such as birds and pagodas, and wide solid-colored borders. 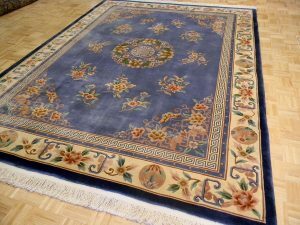 Esthetic rugs inspired by the floral patterns of French Savonnerie and Aubusson carpets are generally characterized by a large central medallion and an open field surrounding designs. Virtually unique to China is the production of wool pile rugs in odd shapes. 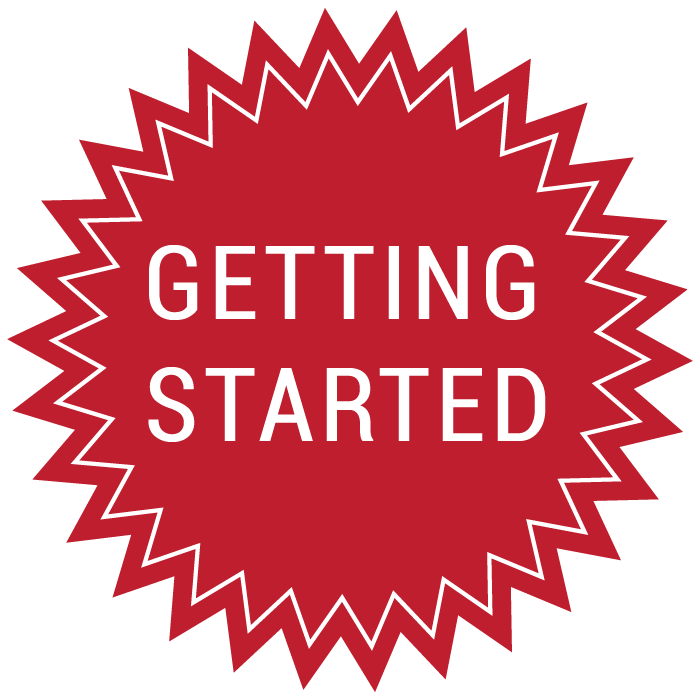 Indeed, rounds, ovals, squares, and hexagons are available in a broad range of styles of colors. They are particularly well suited in defining a room’s particular angle. China offers the consumer one of the broadest varieties of design styles including Chinese, Persian, Euopean, and contemporary to choose from. Equally appealing are the rugs’ decoratively attuned colorations as well as the variety of construction types such as a pile, lilim, and needlepoint. 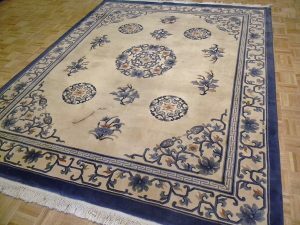 Having established an enviable reputation in decorative home furnishings, it is no wonder that today China is a leading exporter of oriental carpets to the United States. We have accumulated an unbelievable selection of used and trade-in rugs over the last 100 years and our prices cannot be matched. We extensively clean and refurbish every used rug before offering it for sale. 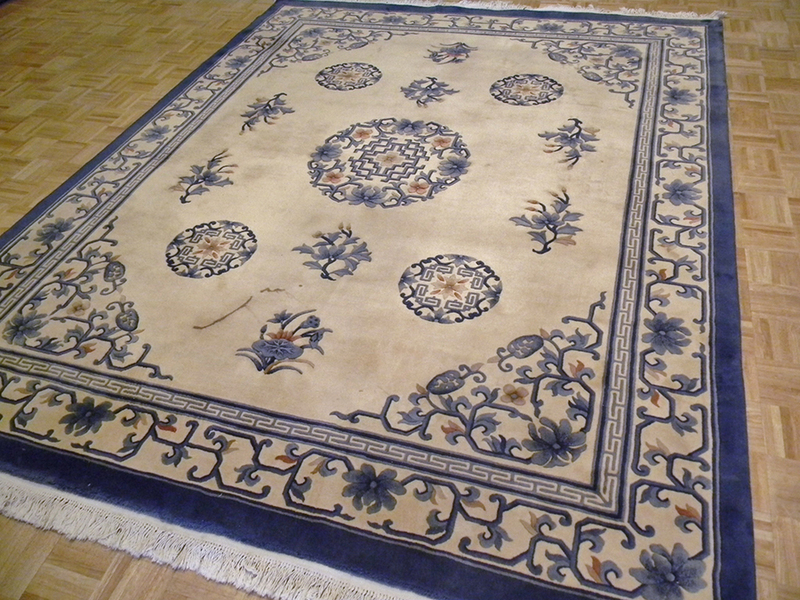 Visit our online store to find the perfect Chinese rug for your home.